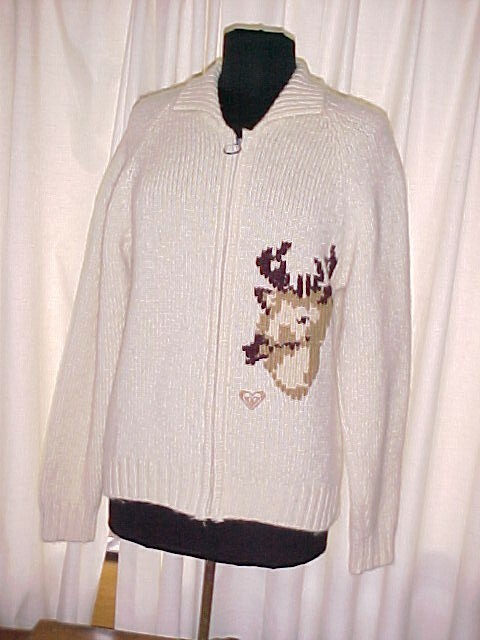 Zippered Front Sweater with an Elk or Reindeer and a little embroidered heart . The brand is Quicksilver Snow. The is size is a Med. 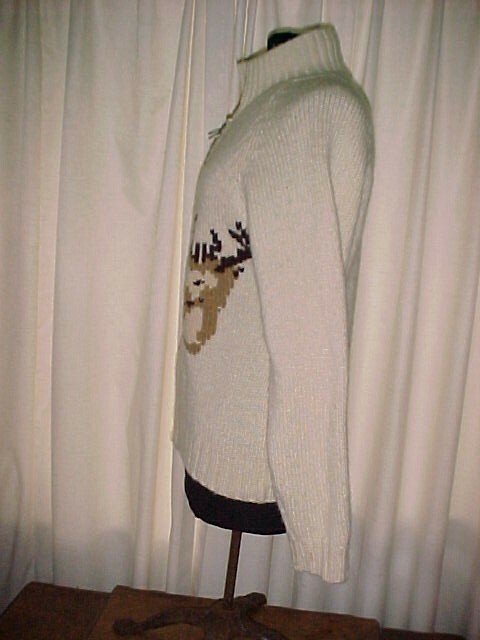 I am not sure if this a men's or woman's sweater but I am listings it as a woman's because of the little heart below the Elk. 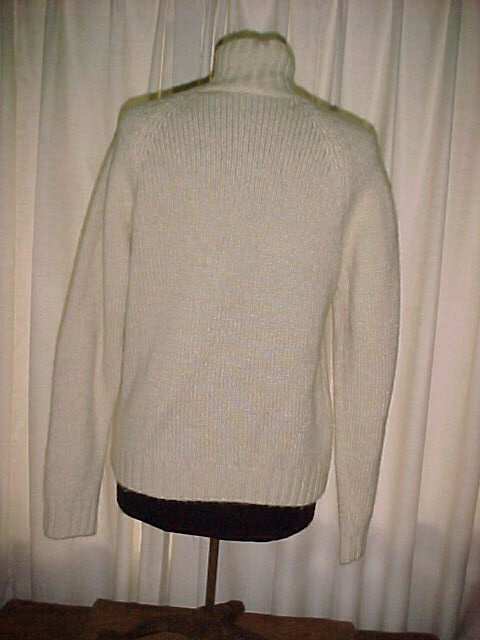 It is a 80% Wool and 20 % Nylon. The condition is good. There are very few signs of previous ownership. The white coating has come off the ring zipper pull. The sweater is clean and ready to wear. 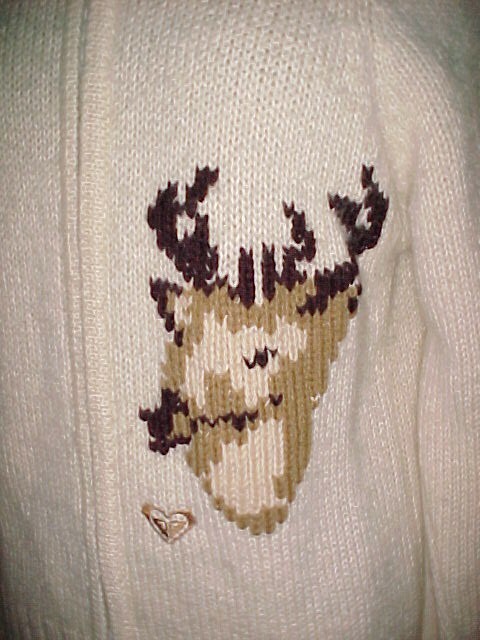 Items Similar To "Zippered Front Wool Reindeer Cardigan Sweater Med"